Play for the Royal Navy or for the pirates. Shoot the enemy ships cannon. 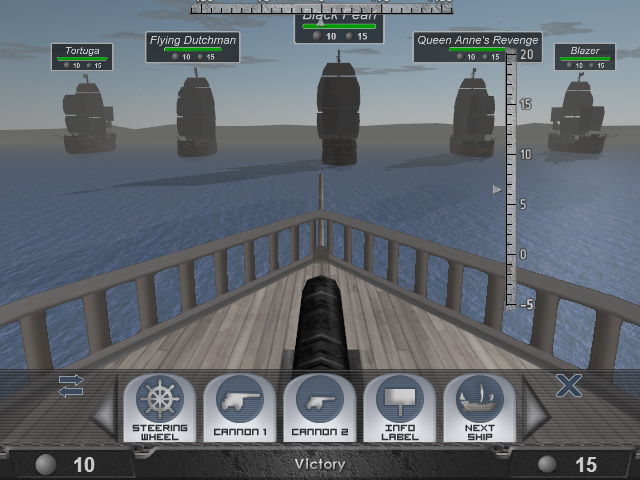 Standing at the helm, freely move their ships to take an advantageous position. Two types of guns of various calibers are at your disposal. Smash the enemy and become the master of the seas!